Honda Civic is a wonderful car adorned with some great features and driver’s oriented setup. Now, imagine this car with added topping of masculine look, powerful engine and equally impactful cabin elements. All this will lead a mighty beast that we recognize by the name – Civic Type R.
At the recently wrapped 2017 MIAS, Honda participation came as a pleasant news, especially knowing the fact that the automaker didn’t show up at the same for a long time. Making up for its long absence, this Japanese automaker bought along with itself some of its best soldiers. 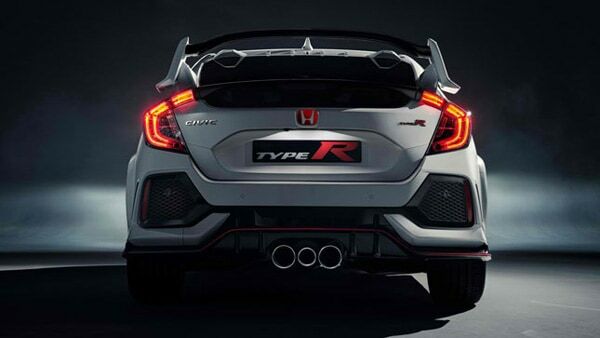 But it was undoubtedly the all-new Civic Type R that proved to be the biggest hit of the auto show. Before discussing the key features of the 2017 Civic Type R, here’s a quick background check. 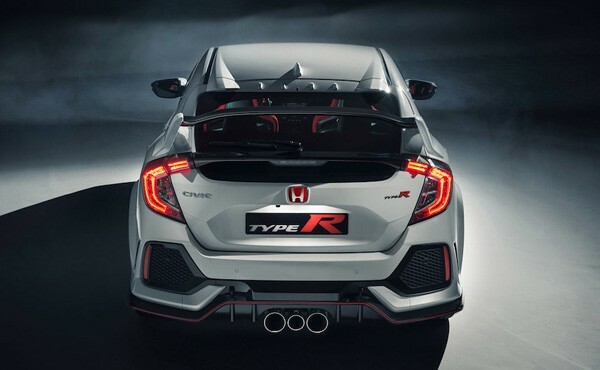 Civic Type R was first unveiled as a concept at the 2016 Paris Motor Show. Before coming to the Philippines, the car made its global debut at the 2017 Geneva Motor Show. 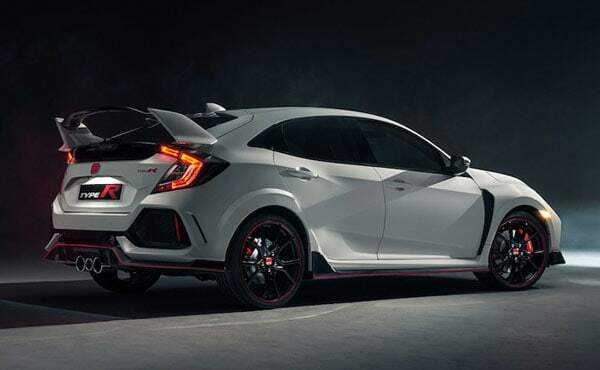 For starters, we can say that Type R carries a new design language influenced from 10th generation Civic and carries a powerful mill making it the quickest Civic of all time. 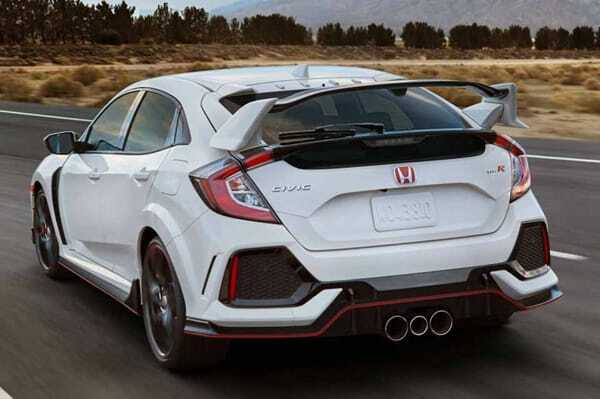 Civic Type R has retained most of the styling shown on its prototype version. See its front, side or rear profile the car looks spectacular from all angles. At the front, instantly grabbing onlookers’ attention is present a sharp pair of LED headlamps blending with the glossy black grill and hood scooped bonnet. The side profile gets flared wheel arches accommodating lightweight 20-inch alloy wheels wrapped with 245/30 series sports tires. The rear makes a lasting impression with its unique three exhaust pipes that according to the company generate a roaring sound at lower rpm, and at high and mid rpm range the middle one acts a resonator reducing the exhaust noise, while the remaining two taking care of the roaring. 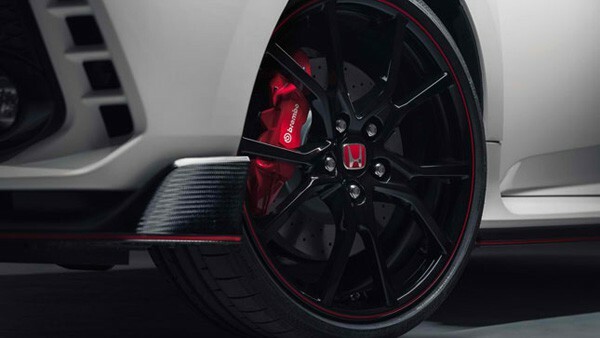 A mighty beast like the Type R needs a highly efficient aerodynamic kit, as it helps keep the car grounded and gives the tiers maximum grip on the road. 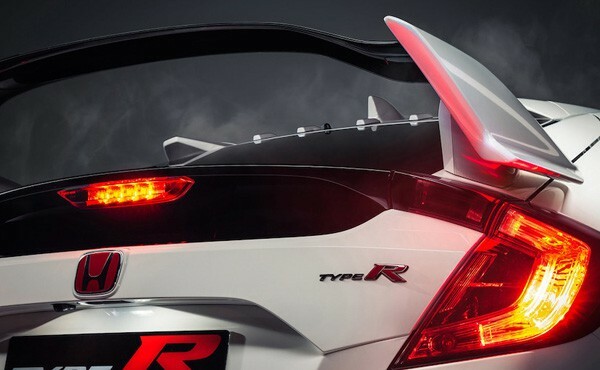 Doing the job for Type R are present air ducts, tiny winglets on the chin spoiler and huge double wings at the rear. 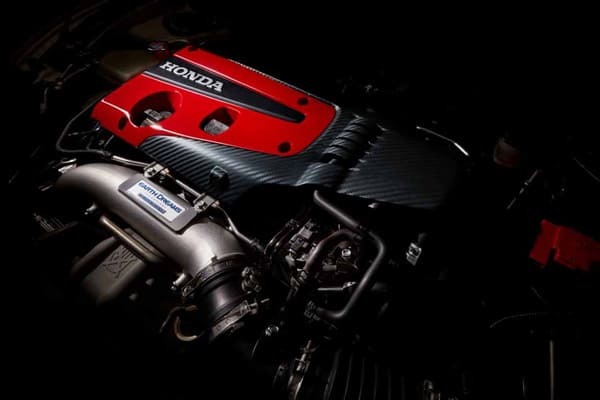 Under Civic Type R well-sculpted hood is present previous gen FK2 Type R 2.0-litre turbocharged Earth Dream engine. But this mill has been re-tuned by the company allowing it to generate more power (+10 PS). As for figures, the said mill can churn 320 PS of maximum power along with 400 Nm of peak torque. The mill is paired to a 6-speed manual gearbox that comes with rev-match technology. A sound suspension is something that’s a pre-requisite in any car and when it’s a car like Type R the needful becomes even more important because such high power and speed demand a sound suspension set-up. Saying bye to the rear torsion beam, it now gets a multi-link rear suspension and at the front now at work is an updated pair of Dual-Axis suspension. Honda Civic Type R is tuned with three driving modes – +R, Comfort, and Sports mode. Out of all the three, it’s the first one that’s most highlighting, as optimizing it will give you the track thrill. It leads to better adaptive dampers, throttle response and steering response. That’s all on all-new Honda Civic Type R; the car will be soon available in the Philippines market all thanks to HCPI President and GM Toshio Kuwahara. It will be the first time when Honda Civic Type R will be made locally available in the Philippines auto market.